An air compressor is at the foundation of the tools in your dental office. This machine has a hand in powering many of the essential tools within your treatment center. A good dental air compressor increases the overall efficiency of your practice. The right compressor also increases safety for each patient that comes through your office. This article will go over some factors to consider when buying a dental compressor for your office. It will also show how Jun-Air’s compressors have given careful consideration to the quality of the air they supply. Air compressors take in atmospheric air and create a supply of compressed air for use in your tools. But this untreated air contains water vapor which could adversely affect your patients and tools. When atmospheric air is compressed, this water vapor must be removed from the air flow. Otherwise, this water vapor could create a breeding ground for microorganisms to grow. This is especially true if it gets introduced to the heat produced by the compressor during operation. Some of these microorganisms could become harmful bacteria and pathogens. If these were to get into the air supply to the handpieces used in treating patients, the patient’s health could be at risk. This is why dental compressors must meet certain standards of air quality in order to be used. Prioritizing air quality protects your dental practice as well. 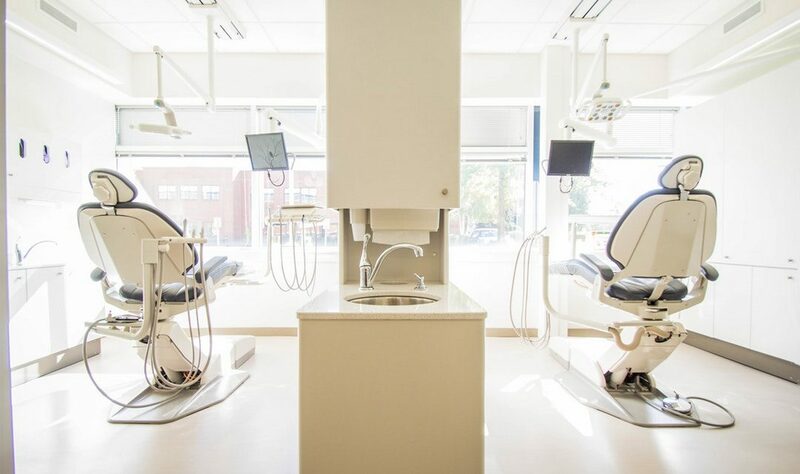 Your practice could be at risk of dental malpractice if these air quality standards aren’t met. This is why Jun-Air products seek to prioritize air quality to protect both your patients and your practice. Jun-Air’s products incorporate dryers into their compressors to remove this moisture. This thereby eliminates conditions in which harmful bacteria could survive. A dental malpractice lawsuit isn’t the only way you could lose money due to using a dental compressor generating low-quality air. Dental equipment is precise and expensive, with dentists spending around $50,000 a year on supplies and equipment. Using low-quality air with your hand tools will cause them to need to be replaced more frequently. Air that hasn’t been properly dried before use could cause water vapor to sit in the tools and create corrosion. Air that hasn’t been properly filtered could allow particles to get into the moving parts of your tools. This could result in your tools wearing more quickly. For this reason, choosing a compressor which will also protect your equipment is a must. This is why Jun-Air compressors incorporate filters as another line of defense with their products’ air dryers. This ensures the air supply to your valuable tools is both clean and dry. Choosing the right dental compressor is going to affect the overall quality of care produced by your dental office. A good compressor is going to keep your tools lasting longer and your patients safer. Do you have any more questions about why you should choose a Jun-Air compressor? Are you curious about another product you’re looking to add to your practice? Get in touch with us and we’ll get you the answer you’re looking for.